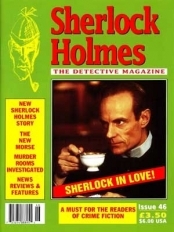 As usual, this issue is packed with a rich, eclectic mix... 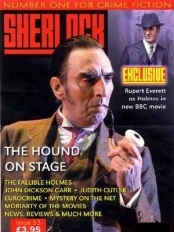 Waiting for you on page 30 we have the results of the Sherlock Awards! 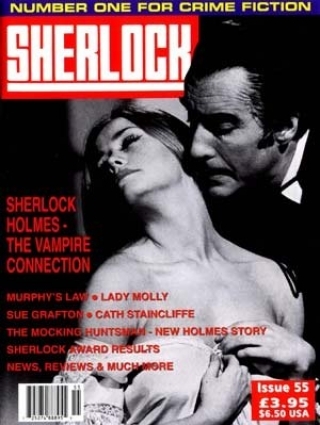 For the Sherlock Holmes fans there is A L Blake’s fascinating article sherlock holmes and the vampire connection. 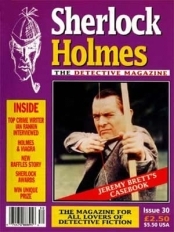 This examines the surprising number of stories and films in which the Baker Street detective has faced a blood-sucking fiend as an adversary. 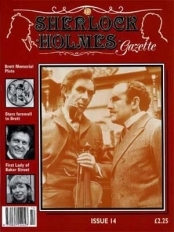 Mr Holmes appears in another related article tracking the undead by regular contributor Paul M Chapman who investigates the vampire hunter as detective.Gavin Collinson’s sherlock on screen feature concentrates on the Holmes movie comedy without a clue starring Michael Caine and Ben Kingsley. Our story in this issue is another new Holmes tale written by M J Elliott who has come up with a really intriguing mystery for the detective to solve. the adventure of the mocking huntsman is a fine tale in the Doyle tradition. If you liked Issue 55, or indeed if it's not quite what you're looking for, then you might find the following products of interest.